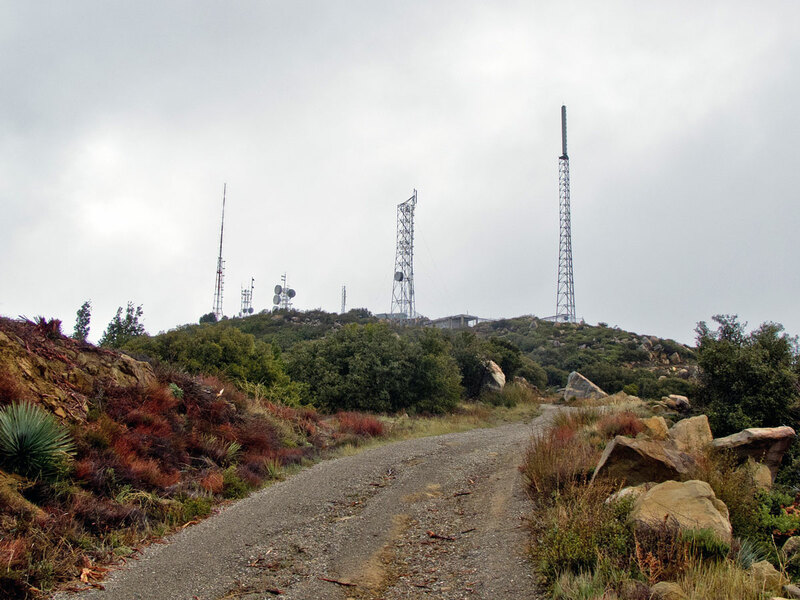 Broadcast Peak, at the very rigde of the Santa Ynez Mountains, above Goleta has an unobstructed view of the entire Santa Barbara County. 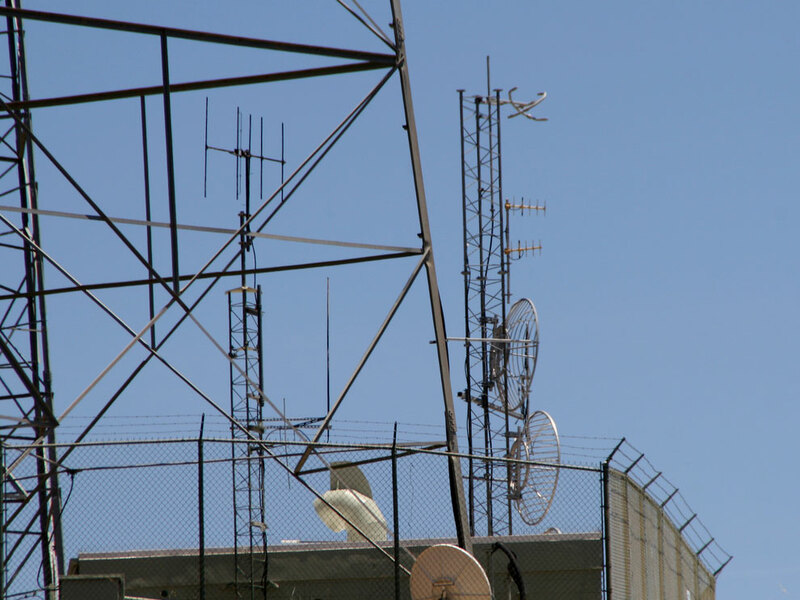 It is the site of the local television station KEYT-TV (ABC Ch. 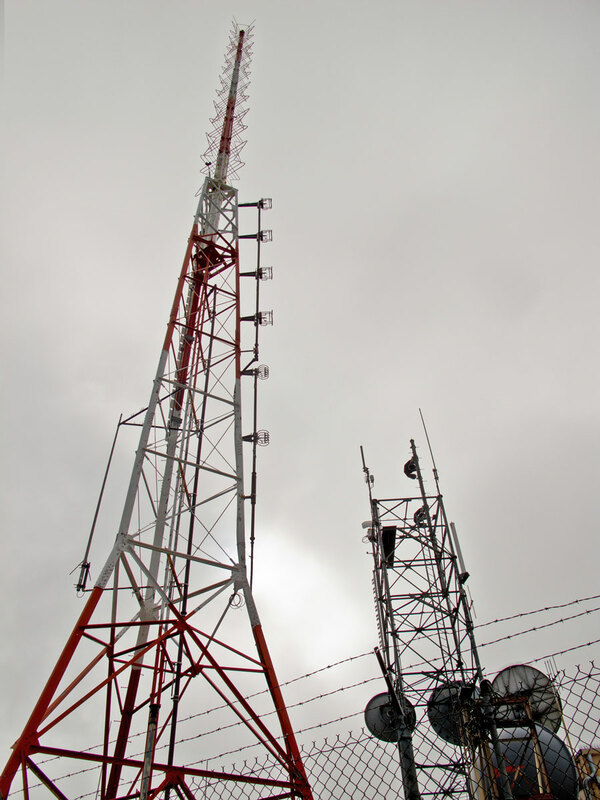 3) as well as the university radio station KCSB 91.9 FM. 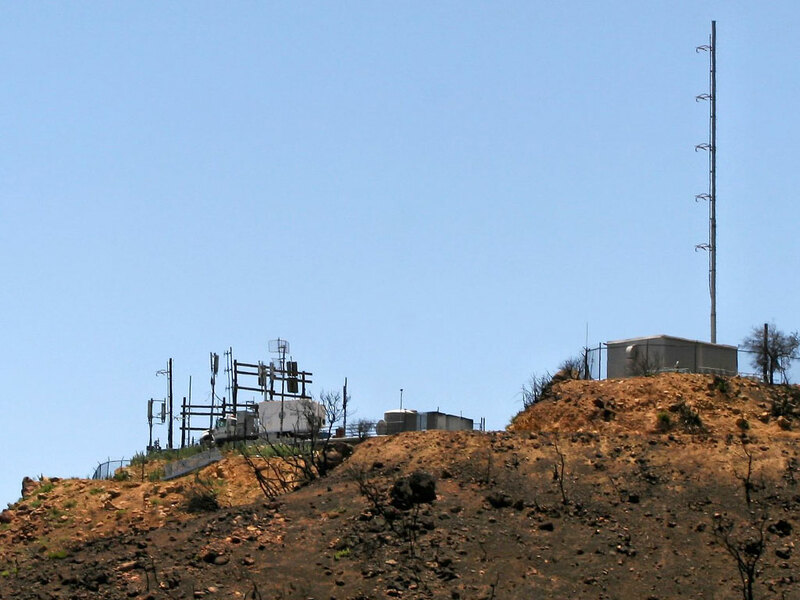 About a quarter mile further west is Santa Ynez Peak, filled with non-broadcast communication towers: microwave links for the county, for AT&T etc. 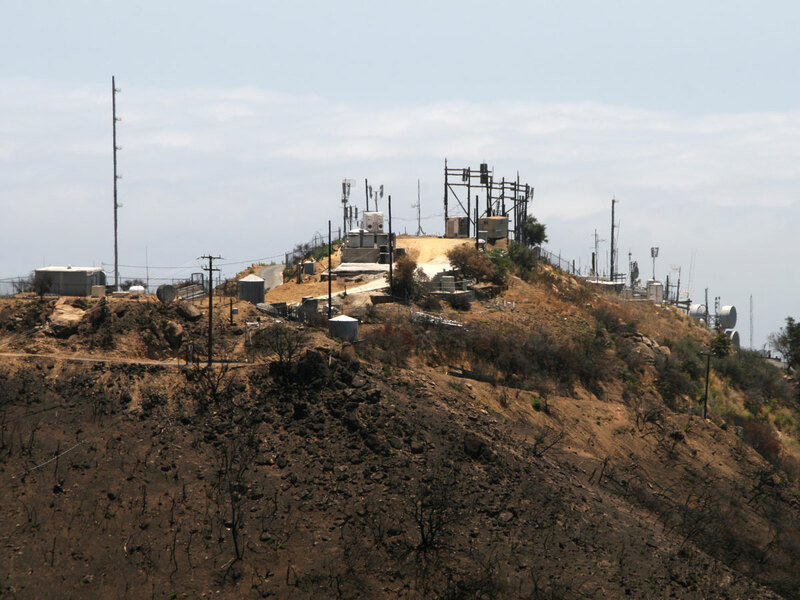 Gibralter Peak antenna farm, above Santa Barbara, California is the location of broadcast towers for many radio stations and television translators. 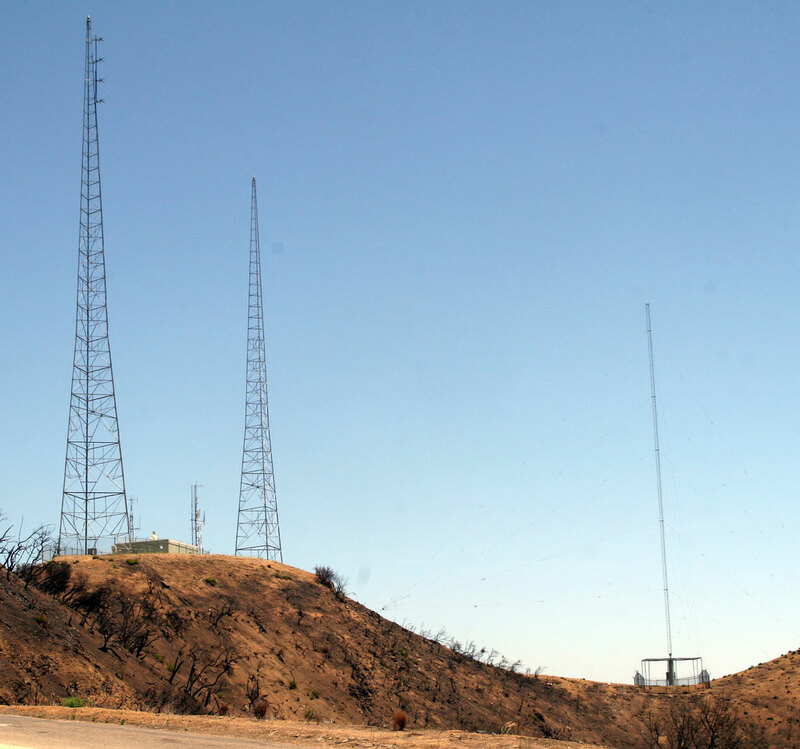 The towers of KTMS-AM and KTYD-FM are located about 1000 feet above and behind the peak farther up Gibraltar Road in the place known as Rattlesnake Canyon.